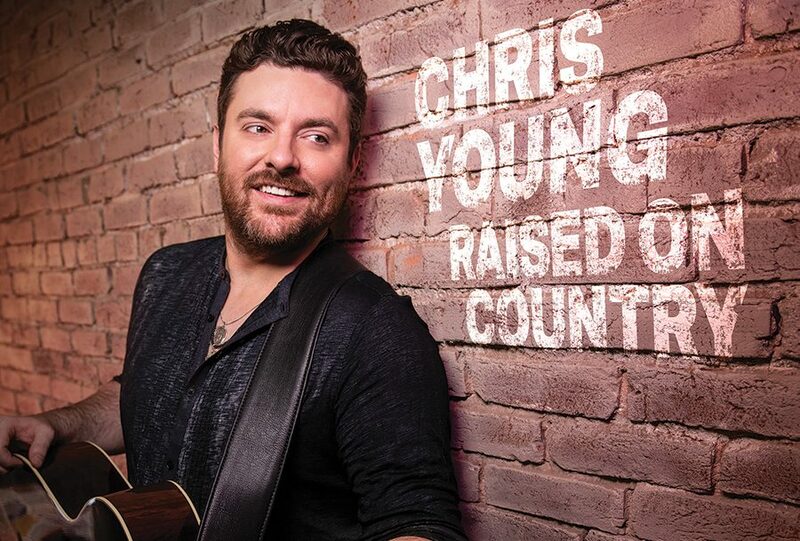 Multi-platinum RCA Nashville recording artist Chris Young officially impacts radio today with “Raised On Country” garnering 65 country radio station adds. Written by Young, Cary Barlowe and co-producer Corey Crowder, the new track is one of this week’s most-added songs at country radio. “Raised On Country” is available on all platforms HERE. Leading up the release of “Raised On Country” earlier this month, Young offered fans the chance to vote on artists to cover and he gave weekly acoustic performances of “Silver Wings” (Merle Haggard), “Chattahoochee” (Alan Jackson), “The Fireman” (George Strait) and “Prop Me Up Beside The Jukebox” (Joe Diffie). During his career thus far he has had the honor of recording with Willie Nelson…“Rose In Paradise” found on Young’s Platinum certified “The Man I Want To Be”…and Alan Jackson…“There’s A New Kid In Town” found on Young’s first-ever holiday album “It Must Be Christmas”. He’s also had the opportunity to tour with both Alan Jackson and George Strait. 2019 brings new music – the just-released anthem, “Raised On Country,” and a new arena headlining tour.